One of the first to join the Connected Earth partners, the National Museum of Scotland in Edinburgh has a well-presented area called Commmunicate! which illustrated the history of communication from pre-historic times up to today. 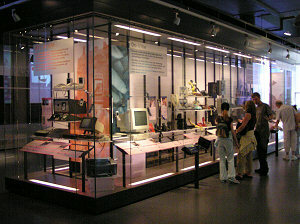 I visited the museum in August 2006 and took plenty of photos. 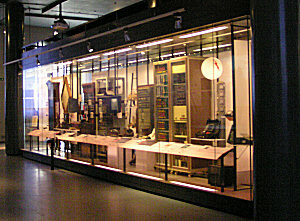 Here is just a sample of what you could see on the first floor of the museum as part of their technology display. In 2014 I found that all the Science & Technology galleries are closed for re-organisation and due to reopen in 2016. One of the first items to confront the visitor is this talking drum, illustrating an early form of remote communication used in the jungle. Despite our best efforts, several visitors and I were unable to get more than one note out of it. 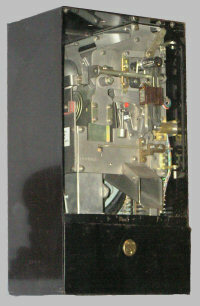 Some early pre-electrical means of communications are shown in the end display. It was good to see the model of the military telegraph again, as I remember it from the original BT Museum. The far side of the display contains an interesting assortment of items, from early telegraph cables to early data modems, including a small digital exchange. 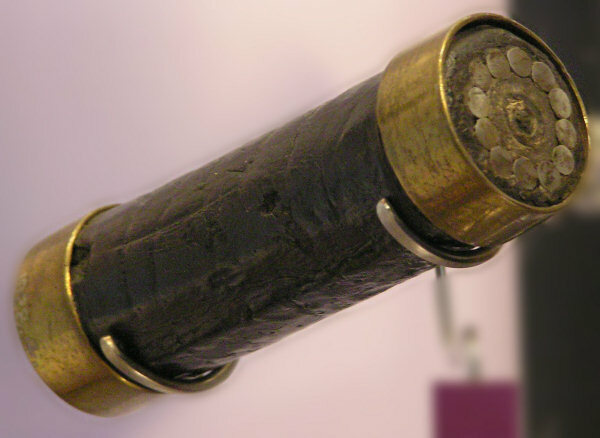 Here's a sample of the cable used for the first successful Atlantic telegraph circuit. Notice that it only has a single central core surrounded by steel armouring. 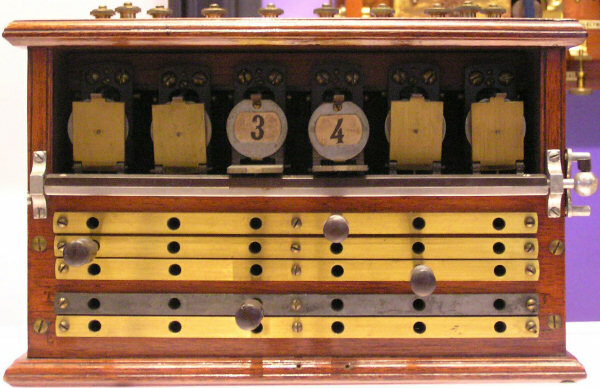 This is a very early telephone switchboard. 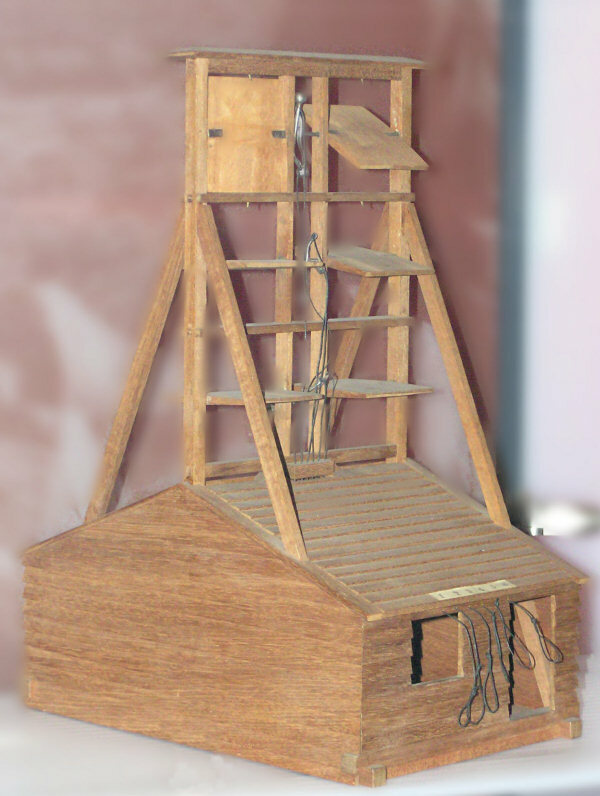 It uses pegs inserted into the holes to form a cross-connection between two lines - an early cross-point switch. The drop-down indicators at the top show when a line is calling. The near side of the display contains an assortment of telephone instruments, early microphones and receivers, some cellphones and the ill-fated Call Point system. 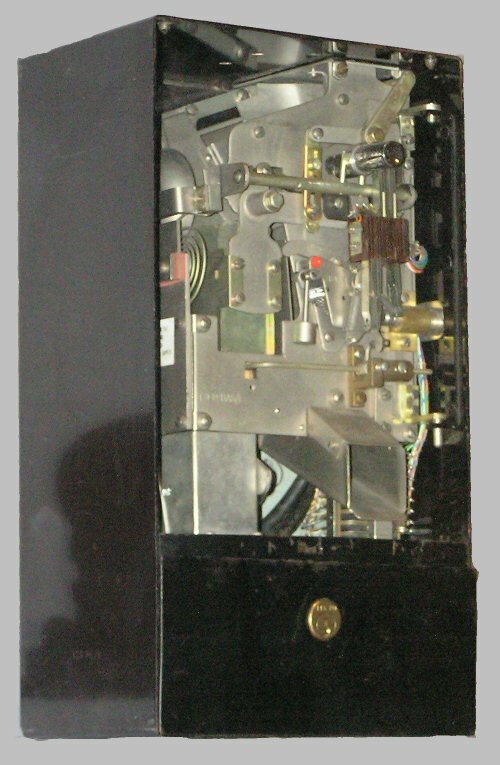 This side also shows a number of call box telephones, including this Button A & B coin box with a transparent cover to reveal the workings. No longer seen on our streets is the police call pillar. You can open this one up and see the instructions and phone inside. 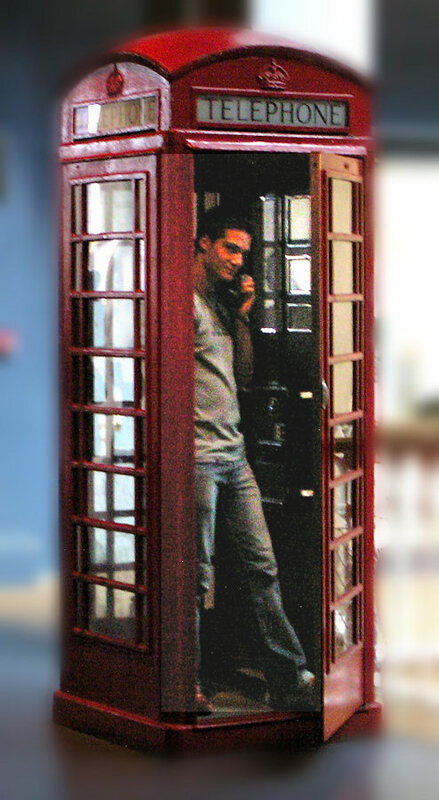 And finally, what display would be complete without the traditional British red phone box? 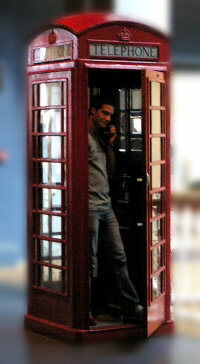 A visitor obligingly stepped inside to use the telephone while I took this picture. 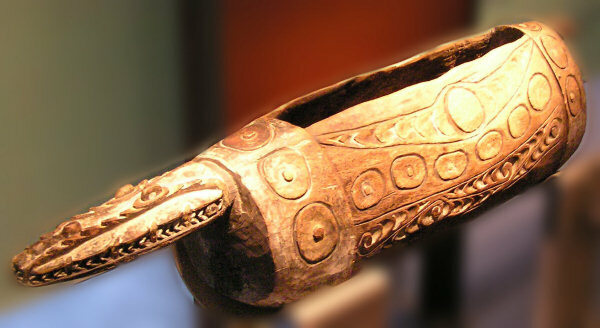 Collection: National Museum of Scotland. Pictures and text © 2006/ 2014 Sam Hallas.